COPrevent: CDPHE's VISION data tool has launched! CDPHE's VISION data tool has launched! What is it and where can I find it? 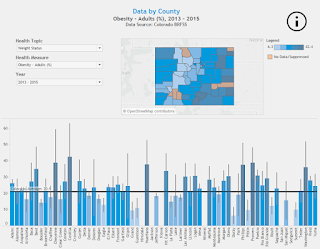 The Visual Information System for Identifying Opportunities and Needs (VISION) was created to increase the availability of easily accessible chronic disease and related data in Colorado. This tool will continue to grow, so check back often. VISION can also be accessed through a link near the top of the Colorado Health and Environmental Data website. CDPHE will hold a webinar on how to use this tool and make the most of its features on December 7, 2016 from 10:00-11:00am. Click here to sign up to receive VISION updates and webinar/training announcements. Users of the VISION data tool could include, but are not limited to, those who are conducting community health assessments, planning data-informed public health programming, identifying health inequities and disparities, creating data fact sheets, writing grant applications, and reporting on grant performance measures. Please help us get the word out by sharing this announcement with your partners! What can I find in this tool? Dozens of chronic disease, behavioral health, and related measures from a variety of Colorado data sources are available in VISION. 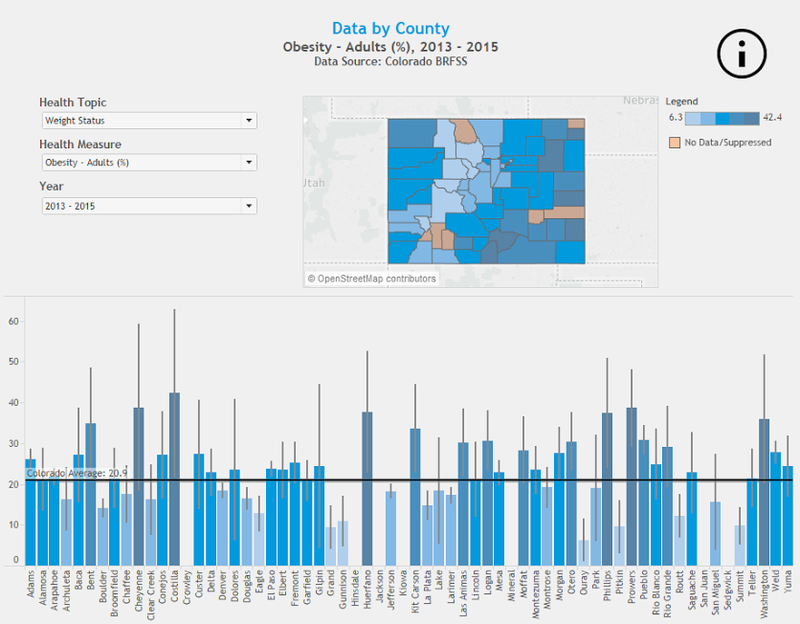 Data visualizations include trend charts for state, region, and county; maps and charts by region and county; and state-level charts and recent trends by several demographic factors. New indicators and updated data will continue to be added to the VISION data tool. Remember to click here to sign up to receive VISION updates and webinar/training announcements. We hope you find the tool useful!